Last weekend Mr Tin Box was cycling 100 miles along the South Downs Way in aid of the British Heart Foundation. This left me and the girls at a bit of a loose end, so we decided to visit Staunton Country Park with our lovely friend who’s partner was also on the ride. Staunton is in Havant in east Hampshire. 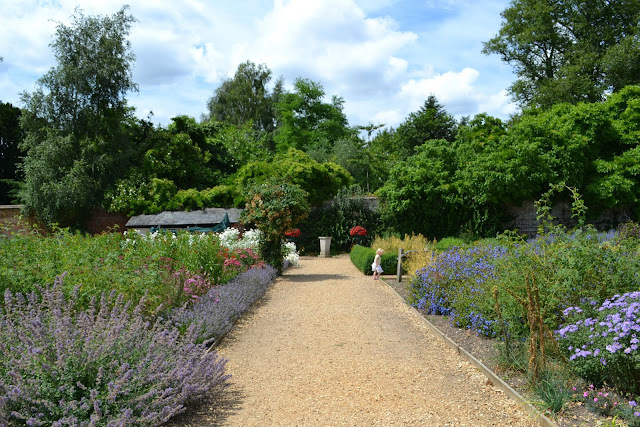 It has a 1830s style ornamental farm, walled garden and a landscaped parklands, so plenty to keep little people occupied all day. We found it really easy to locate the country park off the A27 from Portsmouth to Chichester and there was plenty of parking. You have to pay £2 to park but this can be redeemed against your entrance fee to the farm and gardens. Make sure you take coins as the parking machines weren’t accepting cards when we visited. Once we were in the farm our first stop was the cafe for lunch. There’s a selection of rolls, paninis and cakes, as well as lunch bags for kids. A couple of rolls, drinks and a kids lunch bag with sandwich, juice and three snacks cost just over £12. While we ate we were entertained by numerous breeds of wild foul who fearlessly roamed around the picnic tables looking for scraps. They quickly homed in on TBT expecting the small child to drop something tasty. TBT couldn’t help but clock the play park right next to the cafe, so that was where we headed next. 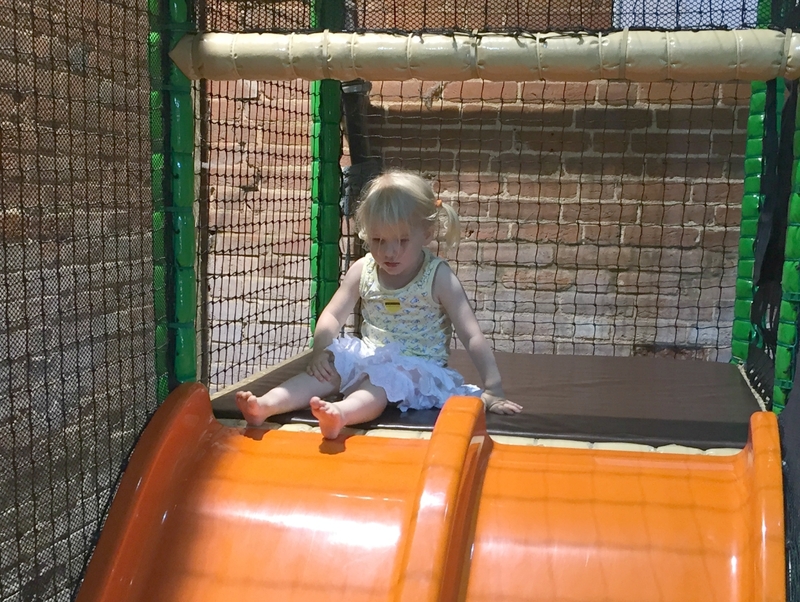 She spent ages going up and down the slides, climbing into the tree houses and playing on the spinning poles. 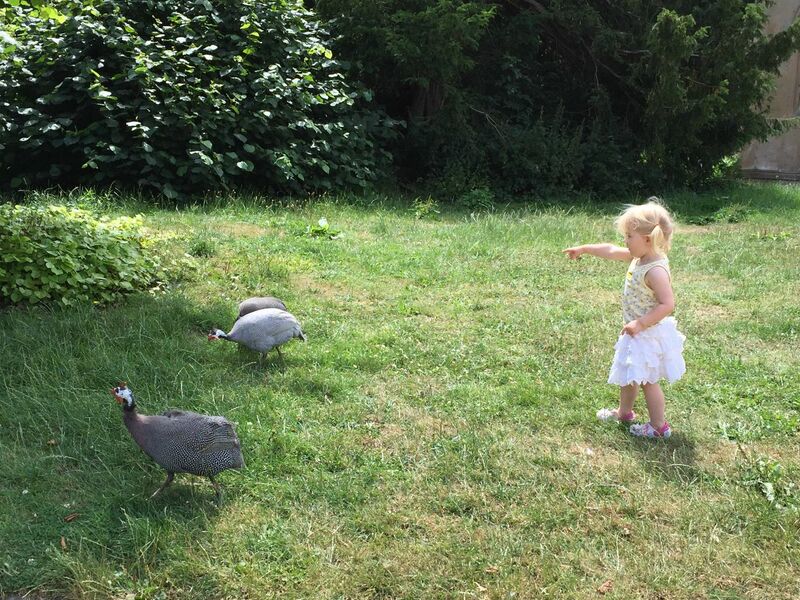 After what seemed like an age we persuaded TBT to look at some of the animals. 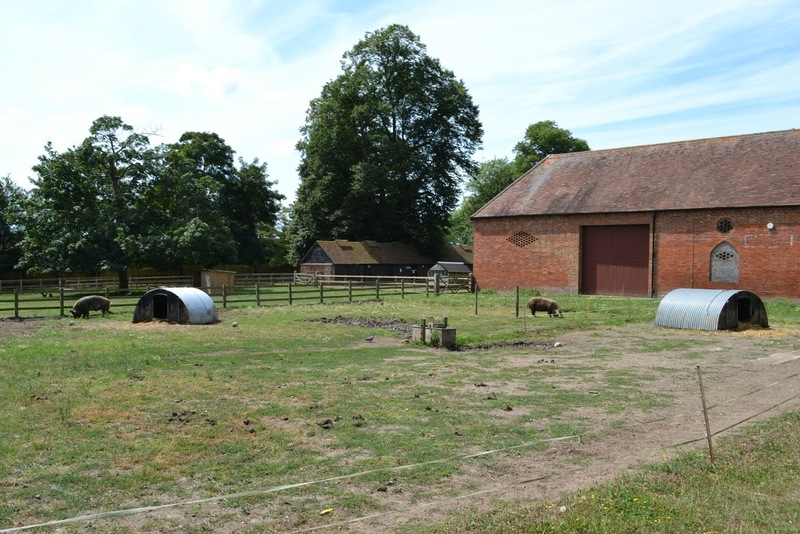 The farm has pigs, sheep, donkeys, Shetland ponies and llamas and alpacas. There’s also a pets corner with smaller animals for visitors to handle. 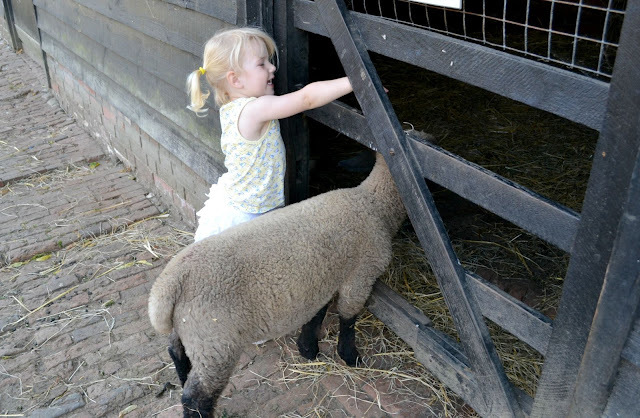 We visited the Children’s Paddock where there were a couple of sheep and goats to meet. TBT found a friend who was equally interested in looking at the animals. This entertained TBT for a few minutes before we had to return to the slide. After a bit more ‘wheely fast’ whizzing down the slides and spins on the pole we moved on to the soft play barn. There’s an exciting looking climbing frame for kids over the age of five and a softer area for the babies and toddlers. As it was a beautiful sunny day this area was relatively quiet. All too soon it was time for us to go. On our way out of the park we quickly popped our heads into the walled garden, which was beautiful. 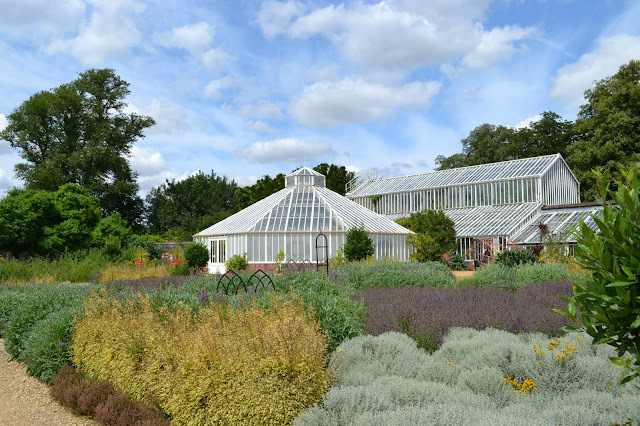 I would have liked to have looked inside the Victorian glasshouses – the largest on the South Coast – but as we were already sweating we decided to leave it for another day. We left the park having explored just a small part of the farm and gardens, and intend visiting again to see the Jubilee Maze, kids trails and landscaped parklands. 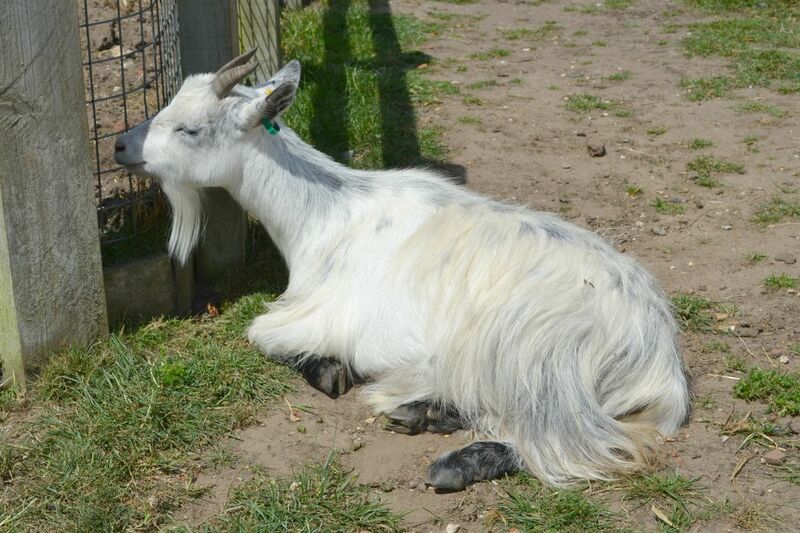 Entry to the farm and gardens at Staunton Country Park is £7.95 for adults, £6.95 for senior citizens and £3.95 for children over three-years-old. There’s also a family ticket for £22.50. The country park is free to visit. In case you were wondering, Mr TB completed the ride in 12 hours and raised £150 quid for the British Heart Foundation. The gardens were beautiful. We have to explore them more next time we visit! Loving the new design, it looks fab! And well done to Mr TBT for that great cycling effort. Staunton looks like an amazing place to visit, I love the photo with the sheep looking in the pen too, very cute. Loads to do and definitely another visit to see the rest, don't blame you for avoiding the glasshouses on such a warm day, it must be roasting in there! Sounds like a success all round! Well done your husband, a great achievement and satisfying I should think. 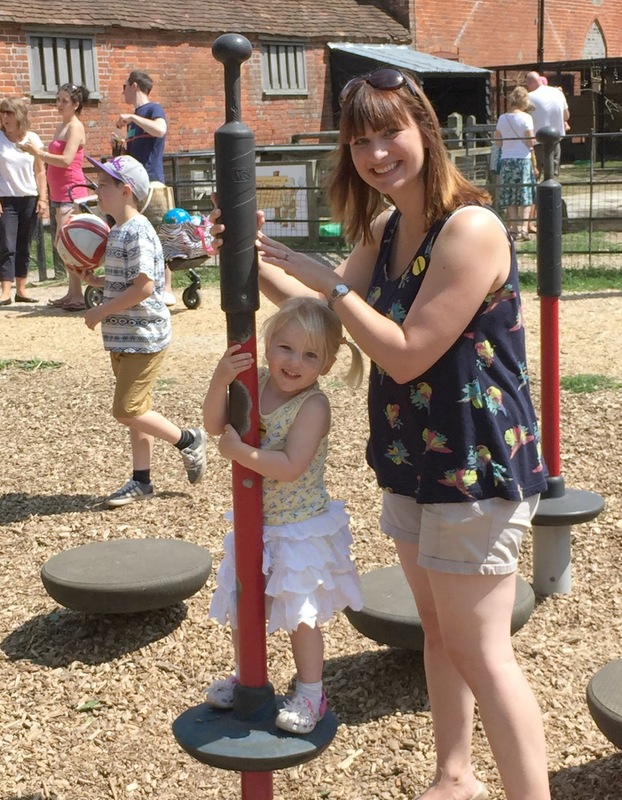 Looks like a lovely girls day out for you as well with the children all well and truly catered for at the lovely country park. Thank you for sharing with me on Country Kids. What gorgeous photos – looks like a really lovely day out, slides AND animals.